When you need replacement windows in Putnam County, there’s only one company to turn to – All-Pro Windows. We specialize in installing home windows manufactured by Kensington High Performance Products, which are designed with practical and aesthetic benefits in mind. Our windows are an excellent choice for virtually any home because they are easy to open, help save energy, and have the protection of a limited lifetime warranty. Plus, thanks to their vinyl frames, our windows will prove more durable than similar windows with wooden frames that can rot and deteriorate over time. These windows are also available in a many timeless styles, so you’re sure to find a design that beautifully matches the appearance of your home. Whether you live in Carmel, Brewster, Mahopac, or anywhere else in the surrounding area, our window collection is sure to impress. Our replacement windows look gorgeous and are built to last, but they’re all but useless without a team of consummate professionals to install them. 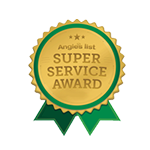 Experience – We’ve been installing replacement windows since 1972, so we have decades of experience under our belts. Skilled installation – Our professional installers work quickly but carefully to ensure that you’ll have your replacement home windows properly replaced in as little time as possible. 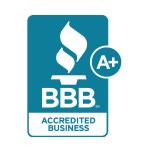 Outstanding reputation – We maintain an A+ rating with the Better Business Bureau because we go the extra mile to keep our customers happy. Contact All-Pro Windows today for more details on our selection of replacement windows for Putnam County residents. 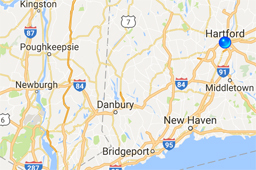 We are proud to serve homeowners in Brewster, Mahopac, Carmel, and other areas of eastern New York and Connecticut.